Its been a few months I held a GIVEAWAY on my blog!I guess it was before my baby was born in January & now its June & I am back with a Giveaway! Big Thanks to Lotus PR for sponsoring this. 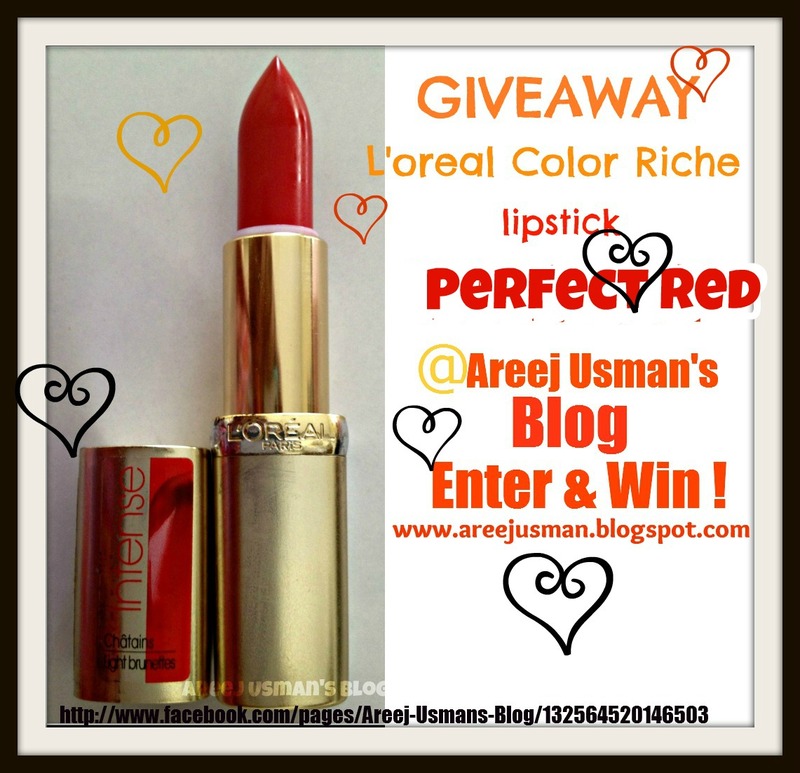 You all have a chance to win this beautiful lipstick i.e L’oreal Color Riche Lipstick in Perfect Red! Experience the intense, natural and boosting serum lip shades through L’Oreal Paris Color Riche where the L’Oréal Laboratories have selected only the purest and finest color pigments, combined uniquely with Omega 3 and Vitamin E to moisturise lips for smooth application and for comfortable wear. 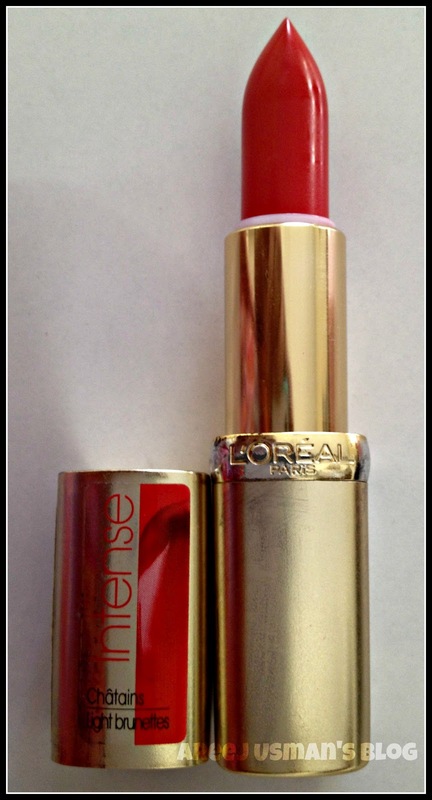 L’Oréal Paris Color Riche has a wide range of assertive, intense, vivid, radiant colors which are once again in vogue. The maximum number of entries that a person can get is 11. This Giveaway starts today on 1st June & ends 15th June!Giveaway is open to Pakistan only! Thanks a lot & Have fun!!!! I follow your blog as nZ! Also inviting my friends ..
oh God ! I want it so badly.. Girl announce the winner !